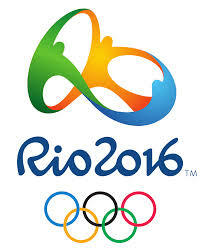 The upcoming 2016 Summer Olympics will be held in Rio de Janiero (Rio). Brazil is the first South American country to host the Olympic games. However, currently, the sanitation state of the city is creating major concern as it may interfere with the athlete’s safety to compete in some sporting events. Brazil has been facing sanitation issues with their water for many years now. Currently, the waters in which sporting activities will take place are filled with human feces and garbage putting athletes at a huge risk of illness and attracting infectious diseases such as norovirus or hepatitis A virus (HAV). 10,000 athletes and thousands of tourists will be gathering in Rio to take part in the Olympics next August. 1,400 of these athletes will be competing in sports such as rowing, canoeing, sailing, triathlons and long distance swimming, all of which will be experiencing high exposure to the contaminated waters. An Associated Press (AP) analysis of the water quality from three Olympic sites was performed and revealed extremely dangerous levels of both viruses and bacteria. The test results showed that the virus and bacterial levels present in the water are 1.7 million times higher than what is considered a hazardous level in North America. The contamination is a result of household waste and sewage, which is unfiltered before entering the water streams. As the viruses present have low infectious doses, the concern for individual safety is on the rise. An expert in risk assessment for waterborne viruses analyzed the results from the AP testing and estimated that athletes from around the world who are not commonly exposed to these viruses have a 99% chance of being infected by a virus via the consumption of only 3 tablespoons of water. This can cause severe sickness such as gastroenteritis, vomiting, and diarrhea. Furthermore, both viruses are easily spread from person to person creating the risk for large amounts of illnesses during this world event. The major concern is for the athletes and the many tourists who will be gathering to watch the Olympic events. Both of these viruses are very easily attracted and spread. As such, the outcome of unsanitary waters could be catastrophic. Although Brazil committed to cleaning their water when they were selected to host the 2016 summer games, little improvement has been shown so far. Concerns have risen as now the games are less than one year away and little progress has been made. All individuals travelling to the games have been advised to receive heptatis A vaccinations however, little can be done about the prevention of norovirus. Therefore, the key solution to this issue is to clean up the waters by bringing the bacterial and viral levels down to a minimum. This was an extremely interesting article. I did not know that Brazil had such problems in its waters, especially now when they are going to host the Summer Olympics in 2016. As we learned in class and as you mentioned above, these viruses such as Norovirus and Hepatitis A are highly infectious and could cause major consequences for the Summer Olympics when there are so many athletes and tourists from around the world all packed in those areas where the events are taking place. For Norovirus since it has such as high genetic variability and is very difficult for people to get immunity, wouldn’t people living in Brazil have a higher chance of getting ill with Norovirus compared to other countries with cleaner waters? I am actually quite interested to see if or how Brazil will try to clean up their waters before the Olympics and if they do not, what will happen to the athletes and tourists during that time. Hi Lauren, I have to agree with Catherine this is a very interesting article. I never knew that Brazil had such concerning sanitation issues, with high levels of norovirus and hepatitis A virus. This not only concerning for athletes but also the great amount of tourist that will be attending the events at the Olympics. The dense population at this event would serve as a large reservoir for virus, as mentioned in class, the incubation period can be up to 28 days. From Brazil the viruses can be affecting countries all over the world after the event due its long incubation period- causing a global outbreak. I think it will be extremely difficult to solve the problem that Brazil is facing, especially due to the fact that the viruses has many routes of transmission and its ability to survive. I am too truly interested in seeing what Brazil come up with to clean the waters. Awesome article Lauren! It is really important to think about all health and safety aspects when it comes to the Olympics. I had read previously that Brazil had a lot to do in order to be prepared for the summer 2016 Olympics, these articles focused mainly on drugs and crime though. I never thought about it through a food safety or health perspective. Having the Olympics in a developing country has it challenges as listed above. I am curious to see how they resolve this issue if they are able to. It seems it is a huge problem that will have to be resolved by fixing the sanitation program of the city as well as the safety of the water currently there. I am very interested to see what happens next summer, and if there are any Norovirus or other virus/bacterial outbreaks. Hopefully this is not the case as people will be travelling all over the world to enjoy the games. As well athletes would have trained for years to be given this opportunity and if they are not able to practice their sport in a safe and fair environment there could be negative backlash from the Olympic community. Really great choice of article Lauren! I have previously read about the sanitation issues present in Rio however I wasn’t aware of the shear magnitude of the problem. It is awfully concerning that the viral and bacterial levels present in the water are 1.7 MILLION times higher than what is considered acceptable in North America! I think that if Brazil is unable to get this water sanitation issue under control, they shouldn’t be able to host the Summer Olympics. Considering the low infectious doses of HAV and norovirus poses an enormous risk to not only the athletes but also to those visiting. The potential aftermath of such a large number of people getting infected is absolutely catastrophic! I really hope that Brazil takes control on the situation before the Olympics, although I am unsure as to how they will do this. It would require a major overhaul of their infrastructure which, I am not sure is possible in such a short time period. Brazil as a country is very big on soccer and it would be a national tragedy of the World Cup were to be moved to another country. This must be a huge concern! The whole event is dependent on healthy athletes. This is an interesting topic, and I agree that contaminated water is a huge issue regarding the Olympics, but I was wondering what the consequences are for the population currently? How are residents and tourists using the water now? Hopefully with the Olympic pressure the time and money will be put into cleaning up the water and will be beneficial to the people living there in the future. This was a compelling article! As a Brazilian myself, I really hope that they fix this problem in time for the Olympics, not only for the athletes that are going to Rio to compete but also for the population that live there. I believe this should have already been solved for that population, but I hope the Olympic Games are going to be one more pressing reason for local authorities to act on cleaning the water and avoiding norovirus and HAV outbreaks. I really hope that, despite messing up last year’s World Cup in many aspects, Brazil’s and Rio’s governments will be able to solve this health issue. After reading this blog, I decided to do some more research on the topic, and found a few journal articles that have been investigating this problem. In one interesting paper by Fistarol et al. which has been published this month (November 2015), the authors had made a few suggestions and devised an action plan, which is inspired by what the Canadian government had performed to remediate Sydney Harbour in Nova Scotia starting in 2009. The authors point out that the most important change that needs to me made is the treatment of sewage from domestic residents (specifically slums) and hospitals, while keeping the polluters and stakeholders involved in the entire process, by making the findings and data on improvements available to the public. It is also of relevance to this course that even the fish that is harvested from this body of water is contaminated with pollutants and pathogens. Fistarol, G. D. O., Coutinho, F. H., Moreira, A. P. B., Venas, T., Canovas, A., de Paula Jr, S. E., … & Thompson, F. (2015). Environmental and sanitary conditions of Guanabara Bay, Rio de Janeiro. Frontiers in Microbiology, 6, 1232. I am surprised that there is no such standard on the relationship with the amount of virus that cause illness with water contact. I think a lot of people do not know water is an important food source to be aware of as well. I guess probably because water is Canada is pretty clean, however, outbreak caused by water might increase in the future due to increase pollution to the water source. Therefore, this is something that we should seriously think about. Anyhow, I am a person who like to drink water from the tab or directly from the stream when I am camping. Now I think I need to rethink again before I am drinking water from an unknown source. 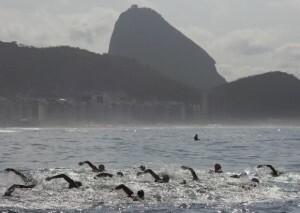 I agree with the comments above that it is surprising that the Olympic Committee chose Rio de Janiero as the location for the next summer games even with the current situation of the waters. Norovirus is especially concerning because there aren’t specific preventative measures that one could take knowing that they would be exposed to the virus. Although the effects of Norovirus usually presents with mild symptoms, this could be enough to affect an athlete’s health. It would be a shame for athlete who have been training for most of their lives to not perform their best and waste their efforts. Nice topic! This makes me wonder what regulations Brazil had in place in regards to water safety and also what changes have been implemented since it seems as though there are mainly preventative measures of making sure people receive vaccinations. Perhaps the contamination is worse in some waters than in others? Maybe the committee can focus on cleaning and regulating certain waters and coastlines in order to use their limited time and money most efficiently.